Being a food blogger, I occasionally get items from various companies promoting their latest offerings. Today I got one from the folks at McDonald's of Southern California. However, they delivered it to the old Sun building in north San Bernardino. Kudos to the folks at the San Bernardino City Unified School District for tracking me down and keeping my special delivery safe! If you want your own bottle, be sure to follow @mcdonalds_socal for info where to get yours on Thursday. The announcement will be made tomorrow. In celebration of the launch of two new variations of its iconic Big Mac hamburger, McDonald’s will give away 10,000 bottles of Big Mac Special Sauce today (January 26). 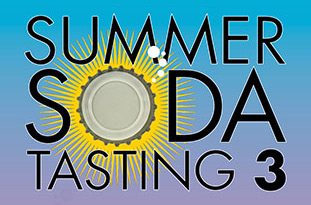 Here in Southern California, 300 bottles will be given away from 12:30 to 2:30 p.m. (or until supplies last) at the McDonald’s at 201 W. Washington Blvd. in Los Angeles. I’ll be the first to admit that the Inland Empire doesn’t have everything. 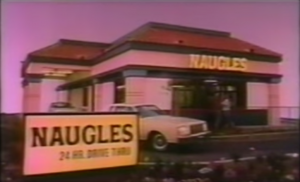 And one of the things it doesn’t have is Galco’s Soda Pop Stop. 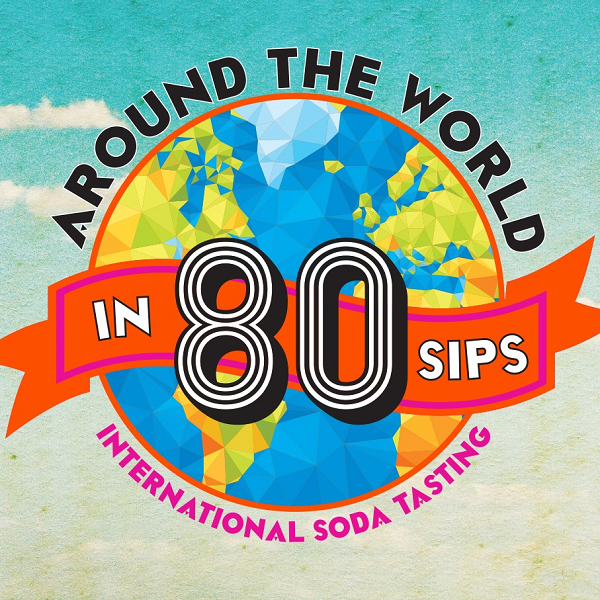 You see, Galco’s is home to hundreds of soda varieties from the U.S. and around the world, and it’s the “around the world” part that’s the focus of Galco’s fifth summer soda tasting event. 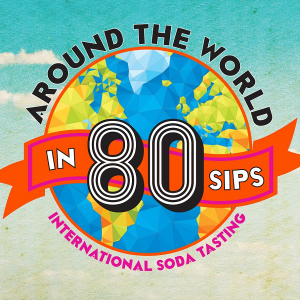 The “Around the World in 80 Sips” event is set for 5 to 8 p.m. Sunday (July 19), featuring samples of sodas from Japan, France, Italy, Hawaii, England, New York and many other locales. It’s time once again for a unique fundraiser that’s worth leaving the Inland Empire for. 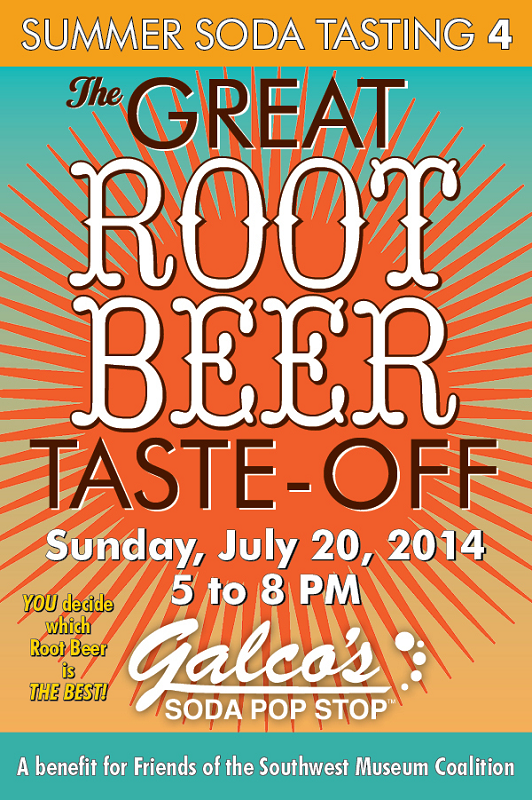 It’s the third Summer Soda Tasting at Galco’s Soda Pop Stop in Highland Park. 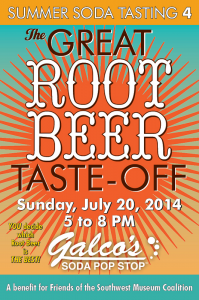 The event will take place from 5 to 8 p.m. Sunday, July 28. Proceeds from the event will again benefit the Friends of the Southwest Museum Coalition, a group whose goal is preserving the Mount Washington landmark and its Native American artifacts. If you’ve been watching our social media feeds the last couple of days, you might have seen that I was invited to be a guest on the Neil Saavedra’s Fork Report show on KFI AM 640 on Saturday (April 20). Even though I was a little nervous, it was fun and the time flew by. You can see a couple of photos taken during the interview on the show’s Instagram feed here and here. Follow The Fork Report on Twitter, Instagram and Facebook. So, we’ve got the East Valley covered, the Inland Valley covered, but what about you folks over in the Inland Empire’s West End? Where are your food trucks? 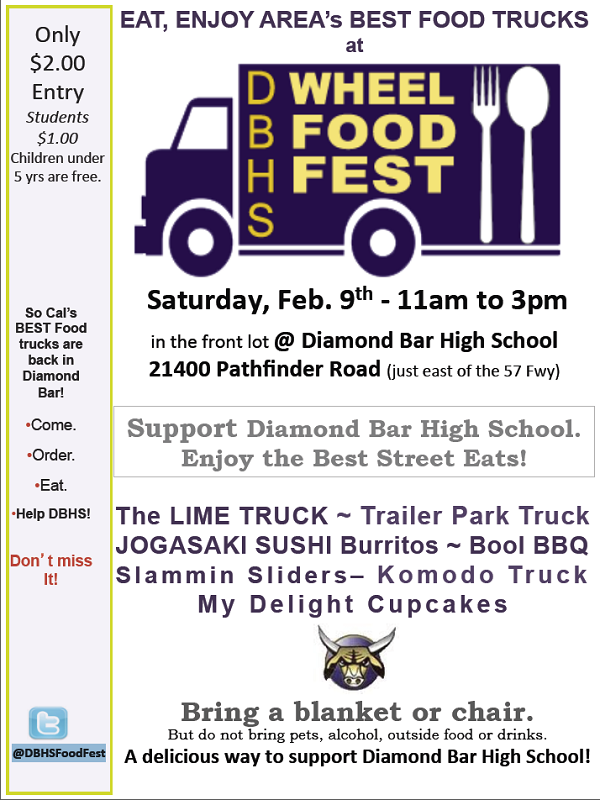 Why, they’re at Diamond Bar High School, which will be hosting its latest Wheel Food Fest from 11 a.m. to 3 p.m. tomorrow (February 9) in the front lot of the school, 21400 Pathfinder Road. In addition to the food trucks (including the Inland Empire-based My Delight Cupcakery), there will also be a gaming truck. Admission is only $1 for students and $2 for everyone else over the age of five. Those under the age of five will be admitted free. 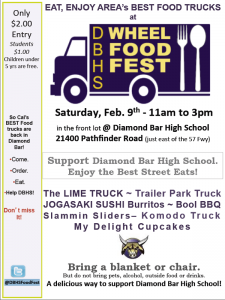 For updates, follow the Diamond Bar High School Wheel Food Fest on Twitter. Head over the jump for a list of trucks. OK, Taiwanese chain 85°C Bakery Cafe isn’t in the Inland Empire yet, but they’re soon going to be just over the hill from us. The third U.S. outlet will celebrate its grand opening at 1 p.m. Wednesday (December 19) at 2626 E. Garvey Ave. South, West Covina. There will be prizes and giveaways for guests in attendance. Dine 909 has visited the Hacienda Heights location a couple of times and stocked up on delicious pastries and savory treats. The chain is also known for its salted coffees and teas, which taste much better than they sound. The stores themselves are kind of a mash-up of Starbucks, Porto’s and a panaderia. The new location will be the largest of the three here in the U.S. (the other is in Irvine). Click here for an article on the new store from the San Gabriel Valley Tribune’s Juliette Funes.